Different institutions from the Murcia Region as: INFO, Chamber of Commerce, AREMA, Yecla Furniture Fair (FMY) and AMUEBLA, are collaborating in the 1st Edition of the International Interior Design Contest for Contract Environments BELTÁ & FRAJUMAR, InterCIDEC ‘ 2016. 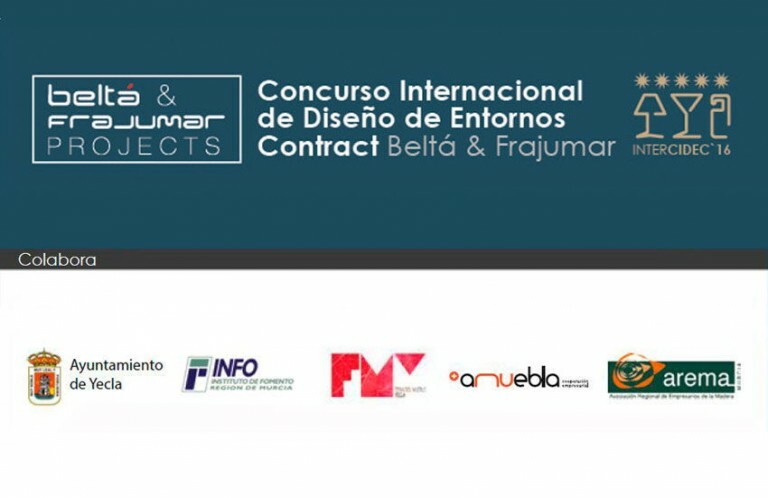 Institutions from the Murcia Region as INFO, Chamber of Commerce, AREMA, Furniture Fair (FMY) and AMUEBLA, are actively collaborating in the organization and promotion of the 1st Edition of the International Interior Design Contest for Contract Environments, organized by BELTÁ & FRAJUMAR PROJECTS. All these institutions offer an Administrative support for the small and medium companies, offering them information in order to make the right decisions and also promote business opportunities, which in one way or another will revert in a benefit for the Region. They are the bridge from these companies to the international world. We want to thank all of them for being involved and collaborate in this first edition of InterCIDEC’16. We are convinced that this contest will become a reference in the Hospitality sector at a European level.